Parenting is one of the most challenging jobs and most of the parents are aware of this fact. It is job that runs for 24*7 and can not allow you to have some break. For all those new-moms or moms-to-be, some essentials can work for you as a boon. But that doesn’t mean you should make a huge purchase by installing all the baby related items. If you are going to spend a lot on an all-terrain stroller or full-size stroller then you should look for one that is compatible with your car seat, especially if you will be in and out of your car a lot. Adjustability of handlebar height is one of the most important features for comfortable use over time, especially for parents having different heights. Most full-size strollers have one straight handlebar and most umbrella strollers have two curved handles. The straight handlebar makes navigating a little easier but the two curved bars make the stroller more collapsible. You should spend some time for testing how comfortable you are striding behind different strollers and ensure you have a good fit. The size of the wheels, handlebar positions and angle of the seat all affect the legroom for the parent. There are some strollers that offer multi-baby or multistage options that will allow you to keep adding to your growing family with your first investment. Durability is another factor that you should include. You might be using your stroller for more than one child. Be sure to consider wheel construction because plastic wheels can begin to stick and become difficult to maneuver over the time. Ensure you consider the stickiness factor and get a stroller that is easy to clean. Most of the stroller comes with a storage basket, though the style and size can differ almost as much as the strollers. Thus, decide on your own and choose your stroller accordingly. 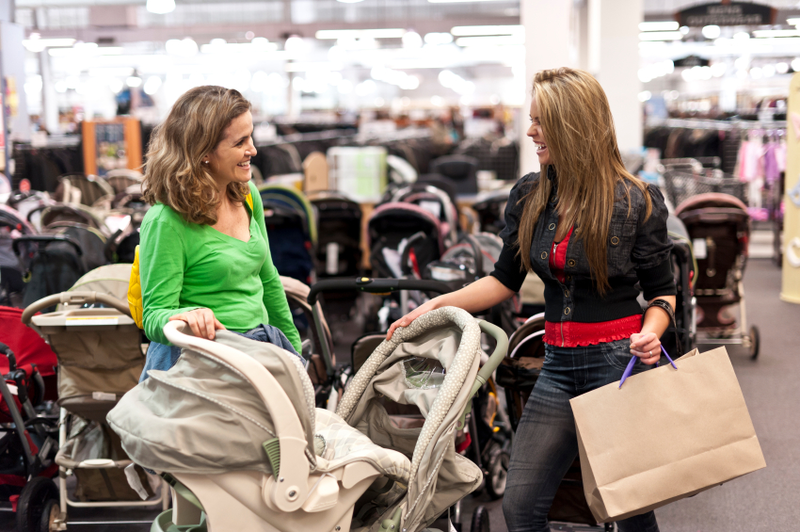 Many full-sized strollers give you the choice of which direction to face the baby. Undoubtedly, you’ll like to start out with your baby facing you which can make all the difference between feeling like you spent time with your baby rather than just pushing a stroller. This safety feature keeps your stroller from rolling away when you are not moving. You should look for brakes that are conveniently located for when your hands are full. If you live in a hilly city then you might also want resistance brakes that will slow your stroller down on an incline. Wheels are made to rotate from side to side independently for maximum maneuverability but all-terrain strollers will have front wheels that lock off so that they roll together and allowing it to operate more like a jogger and make it easy to go in a straight line. Most of the strollers come with a strap which is located near the handlebars so you can attach it around your wrist for more security. There is no space for compromising in baby related stuff so, guide yourself and buy a feature-filled baby stroller that can give you and your child comfort and safety. Happy Strolling!